The Space Between fantasy series is growing and the story continues! 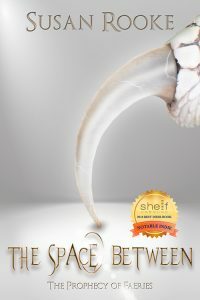 Book 1, The Space Between: The Prophecy of Faeries, debuted in September 2017. Now get ready for Book 2, as The Realm Below: The Rise of Tanipestis launches in January 2019! Find more about both books on the Novels pages, including plot descriptions, praise from other authors and audio clips. Watch this site for more news and updates! The sky, the sun, the moon, the scenery. What’s left? Oh yes—bugs and cows.